1888 litho My Sweetheart by Seymour. Wonderful blue ink on this bookplate published in 1888. Paper size is 10 x 7 1/2", printed area is aprox 5 x 7". Shows women with her new feather hat & large bow! Great condition, Very nice. 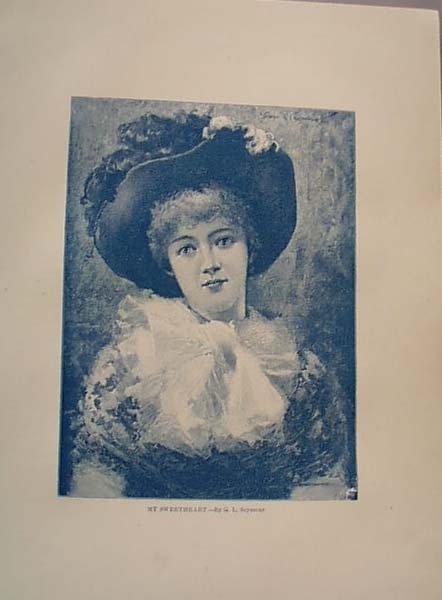 Items Similar To "1888 Litho My Sweetheart by Seymour"